In Maine, a South Portland doctor has decided to drop acceptance of health insurance all together and in return, he was also able to dramatically drop his prices. The doctor also posted his prices online so that his patients could make educated decisions about the price of their care. By dropping insurance and making prices transparent to the consumer, this doctor put the patient, not the bureaucrat in charge. 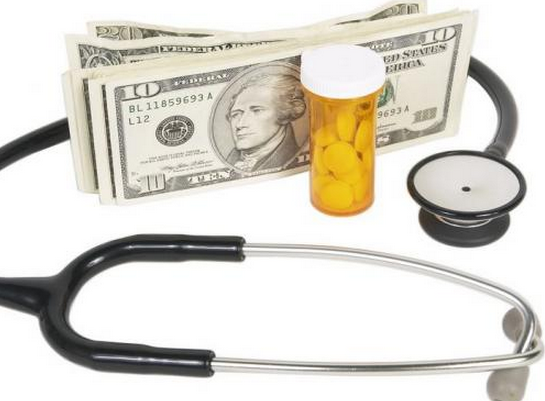 Have you thought about what you actually pay for a visit to the doctor? Have you thought about the countless employees, billed hours and layers of red tape a doctor must pay for in order to be able to comply with insurance billing, payment and regulations? Doctors don't absorb that cost; it is passed on to someone. Because most Americans get their coverage from either employer based plans or the government via Medicare or Medicaid, I believe many Americans are unaware of what they really pay. The system is designed to keep you in the dark and uninformed about the realities of health care costs. I know I was. About six years ago, our family's health care premiums began to skyrocket. For a family of four, all healthy and on no medications or having no pre-existing conditions, $1250 a month was going to be too steep for us. My husband and I were both self employed and were not privy to our employers picking up any of the costs. So, putting pencil to paper and doing the math, we decided to go with a high deductible "catastrophic" plan. The plan didn't cover routine visits to our physician, only ER visits. We were surprised to find that our local doctor drastically reduced the cost of our office visits when we started paying cash. Instead of billing insurance $150 and charging us the $20 co-pay, he reduced the cost of an office vist to $60, which we paid for entirely. If you're thinking we were paying more, you're wrong. When we had traditional health insurance we never saw the true cost of a visit. The doctor charged insurance $150 for a twenty minute visit, we paid the $20 co-pay, insurance picked up the rest. As a consumer, I thought $20 is not so bad right? It wasn't until we switched to the cash/high deductible plan that I started doing the math. Under our previous plan, we paid $1000 per month for premiums as well as the deductibles and co-pays. For the year prior this totaled around $15k. We have two children, so this included all of their office visits, vaccinations, annual exams, sports physicals etc., as well as ours. Under the new catastrophic plan, we paid 100 percent of office visits but our premium was now only $290 a month. Over the course of the next year our family saved over $10k on our medical expenses by paying cash for every office visit, exam, immunization and prescription. We also became increasingly aware of pricing differences in the market. For example, when my son came down with an ear infection, instead of just having the doctor call in a prescription to his favored pharmacy, I began calling around to price shop. I was shocked to find out that two pharmacies not two blocks from each other had almost an 85 percent difference in their prices. Circumstances had forced me to become an educated consumer. We used to all be educated consumers, that is before insurance companies and government bureaucracies became involved in every segment of the health care market. Imagine how the system would change if we had transparent pricing and a market not driven by red tape and industry lobbyists content to keep us uninformed. When you're spending your own money, you tend to be a better consumer, because after all who cares what it costs when you're not footing the bill? Under Obamacare, there is more bureaucracy, more cost and less efficiency and we're moving in the wrong direction. Obamacare does away with many catastrophic plans, as well as increases the price for Health Savings Accounts. This leaves less choice for millions of self employed insured as well as younger Americans who need less care. It also adds more layers of decision makers between you and your doctor. "I'm freed up to do what I think is right for the patients. If I'm providing them a service they value, they can pay me, and we cut the insurance out as the middleman and cut out a lot of the expense." In short; the way it used to be. Many of us on the right have been talking about patient centered health care solutions as a way to begin fixing our broken system. The ideas Dr. Ciampi implemented are a step in the right direction.